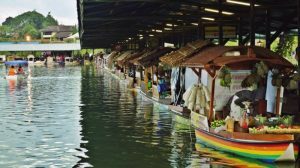 Home » attraction » West Java » What to Do in Floating Market Bandung Indonesia – Beautiful Experiences! Bandung is indeed memorable and fascinating place. In this place, you can go to many places where you can go shopping or go refreshing. However, because there are many places can make you puzzled what place you will visit first. If you go to Bandung, you can come to Lembang. In this place, you can visit floating market. There are many interesting things that you can do in this place. Those are things what to do in the floating market Bandung. If you go to the floating market Bandung, you can try many culinary. Differ with the other, you can try to buy food from the boat. In amusement parks or other tourist attractions, you usually buy food must be in the food court or in stalls that lined up neatly. Well, in the floating market will presents you a slightly different shopping experience. 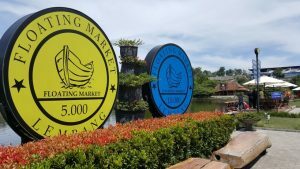 In this Floating Market Lembang, you will be able to buy directly from the vendors who all are in the boat. For you who work in the office, walking is an activity that is rarely done. Because every day, certainly you more spend your time by sitting and struggling in front of a computer all day. Now, with a fairly wide area that have fresh air, Floating market is a pleasant place to walk. If you enthusiasts rabbit, you can go to rabbit park. In this place, you can find many rabbits that you will like. This place is so suitable for you who come with family. It is not too difficult to find this park. Rabbit park location is not far from the miniature train. The surrounding rabbit’s park was lined with fence to prevent the rabbit to get away. While inside the park, there are several mini house that sometimes used by rabbits to hide. If you go to this place, you will find a railway miniature garden that rarely exists in Indonesia. In this place, you can find an area with lots of train tracks and a mini train run non-stop. This place is more fun because visitors can see and take the picture with a camera from close range. 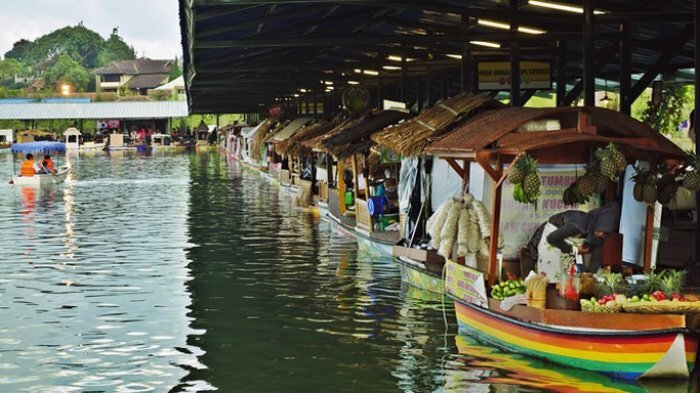 In the central area of Floating Market, there is a vast lake that can be used for rowing a boat. You can ride the boat that pulled by machine motor or you can ride a boat by using padle such as water bike, canoe, or boat. One activity that you must not forget is feeding fish. At the corner of the lake, there is a gathering place for many fish. Well, there is also a place where visitors can buy fish food and then given to the fish. This place has spacious area that is about 1 hectare. This place will presents you a colorful flower garden resembling a rainbow, 80% of the 100 kinds of flowers there are edible flowers. Other than colorful flowers, in rainbow garden you can also see other plants, such cactus. You can also buy organic plants that are still cultivated or are already in bloom in this place. If you want to visit here, you will be charged an additional ticket fee for Rp 10,000. If you want to dress up as a Japanese girl in kimono while enjoying the view of a beautiful lake, you do not have to go to Japan. 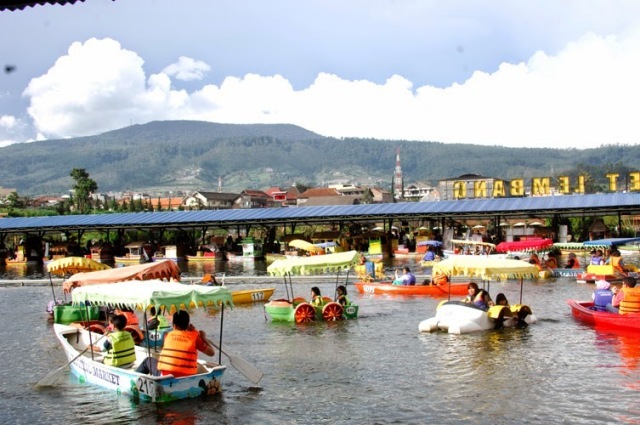 You only need to visit kyotoku which became one of the newest attractions is Floating Market Lembang. For costume rental price starts from Rp 75,000. Those are what to do in Floating Market Bandung. If you interested to come to this place, you can go with your family or friends. Floating Market Lembang Bandung has a special currency in the form of colored coins. It is used for transaction here. So, before buying anything, it is better for you to exchange currency in advance. Some areas are open space, if you do not want to expose to heat or rain, it is better for you to bring an umbrella. The location Floating Market is Grand Hotel Street No 33 E Lembang. Monday – Thursday: 09.00 a.m. – 5.00 p.m.
Friday – Saturday: 09.00 a.m. – 8.00 p.m.
Sunday: 08.00 a.m. – 8.00 p.m.
Rp. 5,000, – for car parking. Note: Tickets already purchased will be exchanged with drinks provided at the entrance.